When we received a call from Zeus Events to host a Chris Robshaw testimonial night at Rileys Haymarket, we all had one look at each other in the office and thought one thing – what a fantastic opportunity this is to show what we can do with our screen technology for an event. To celebrate ten years in professional rugby, Robshaw was hosting a sports night filled with beer, banter and bar games, as well as a raffle and Q&A hosted by Sky Sports’ Alex Payne. The Harlequins player also brought with him a select few of his rugby mates, including Nick Easter and Marland Yarde. 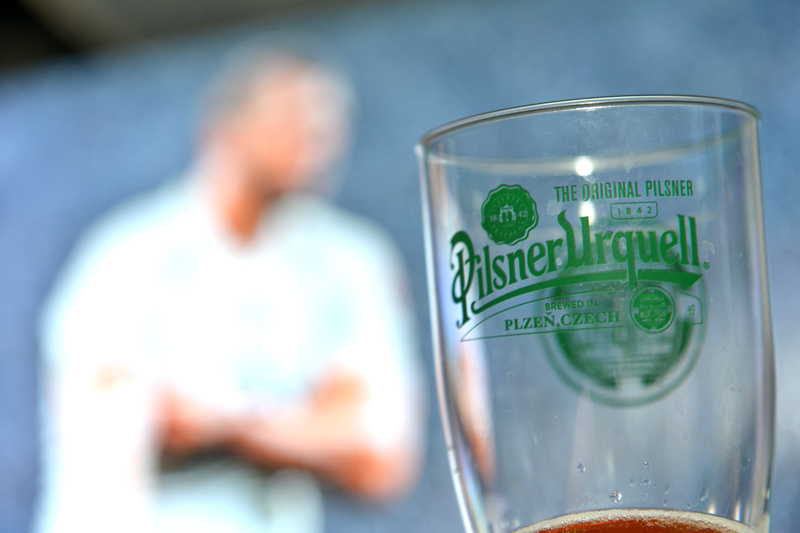 Pilsner Urquell were partners of the event, showcasing their portable bars along with two tanks of beer to keep the rugby fans well fuelled. Magnify Marketing’s challenge was to bring the event to life through the 30 different screens in the venue and encourage high levels of social engagement. Content selection was critical using some key videos of Chris in action, stills of play as well as highlighting the charities the event was supporting. In addition to this, we wanted to show people at the event having a great time so pictures taken and posted on twitter were shown on screen. The guests loved seeing themselves on screen and this actively encouraged them to post on social media to their friends where they were and what they were doing. 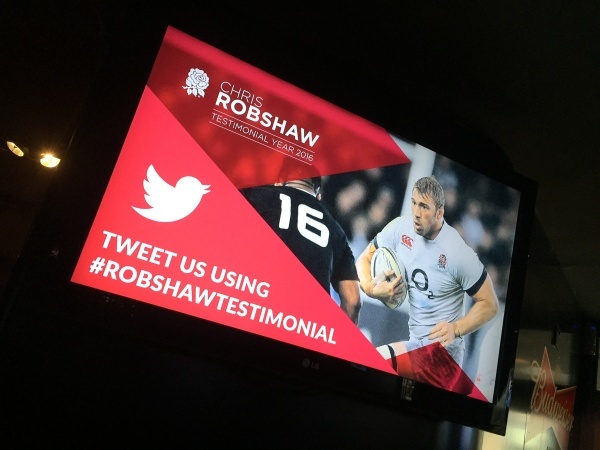 By owning the screens the event felt more immersive and left the guests who came in no doubt they were at rugby event with rugby fans and rugby legends. The preparation beforehand paid off, as the event ran as smoothly as possible. Even the guys at Zeus events were amazed at what we could do with the screens!